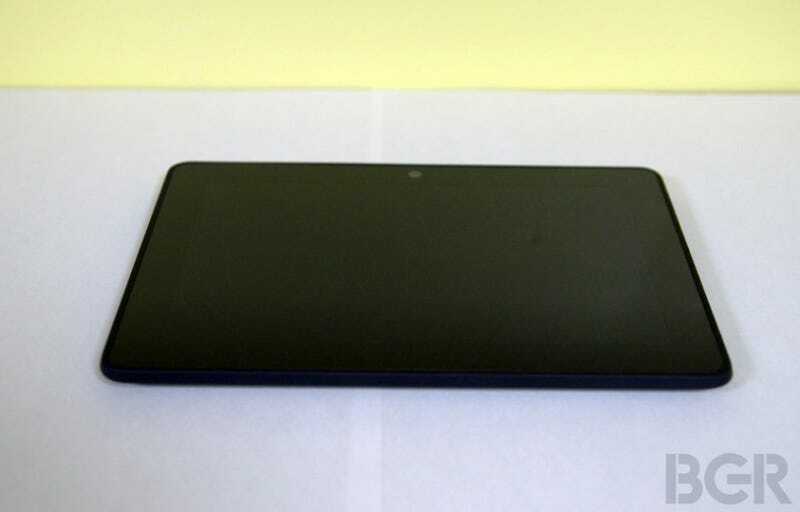 BGR claims it has images of what it says is the forthcoming update to the Kindle Fire HD. If this is the real deal, the new models will feature a design overhaul addressing some of the last model's shortcomings. The images BGR obtained are supposedly the 7-inch model of the HD, but the design changes will apparently carry over to the larger 8.9-inch model as well. The design update includes new buttons, which are easier to use than their predecessors (THANK GOD), as well as stereo speakers that have been moved from the bottom to the top of the tablet's body. In the former case, the buttons now actually protrude from the tablet, whereas previously, they were so flush to its body that they were impossible to find. As for the speakers, the new placement probably reflects Amazon's on-going pursuit of the best built-in sound. The company has worked closely with Dolby on its hardware design, and it's gambling that a better-sounding tablet will be a differentiator to people who watch a lot of movies and TV.